Ear infections are becoming more and more common, particularly in children. This is because of the shape of the Eustachian tube in children. They are more horizontal in shape, which makes it more difficult to drain fluid, ear wax, ect. ; as well as become compressed easily. This being said, it’s important to know if ear infections are actual infections or not. Ear infections get over diagnosed all the time, giving way to harsh antibiotics. 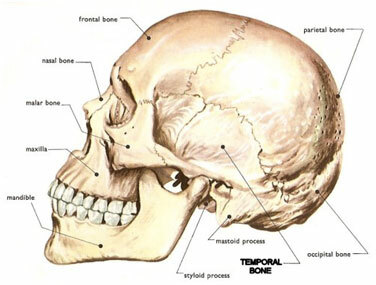 Since the cranial bones need movement, if there is any disruption in this movement it can compress the tube. The temporal bone contains the opening to the ear canal, if there is dysfunction in its movement, it can irritate the ear canal/tube. Additionally, any subluxations in the top of the neck, which compensated from the head, can prevent the flow of fluid as well. This causes inflammation and pain to occur, and sometimes bacteria/fungus can invade. How do we treat ear infections? Maintaining balance in the cranium and neck is key in prevention of these earaches occurring. Dysfunction in the cranial bones in particular the temporal bone, can contribute to ear pain, swelling, as well as hearing issues. If there is in fact, infection, correction of these bones will normalize fluid flow and allow healing. Additionally, natural remedies can help to kill bacteria/fungus in the inner ear.